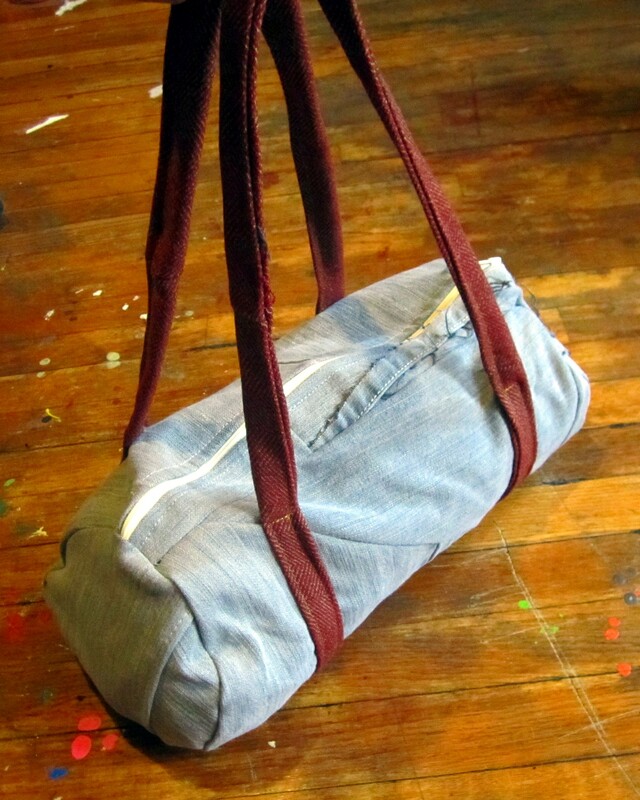 Today, we’re going to make a duffel bag out of old jean scraps and other bits of fabric. Duffel bags are pretty easy, they’re just a rectangle with two circles sewn onto the ends and one long strap sewn in a loop around the bag. And a zipper. You need the zipper to keep your smelly socks and rotten apple cores from falling out. 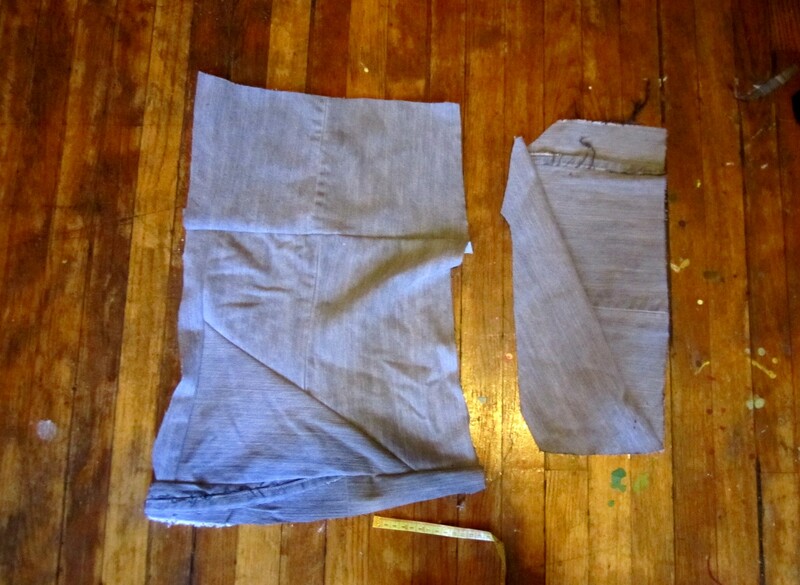 Sew your denim scraps together into two rectangles. One should measure approximately 23×14″ and the other should be around 9×18″. 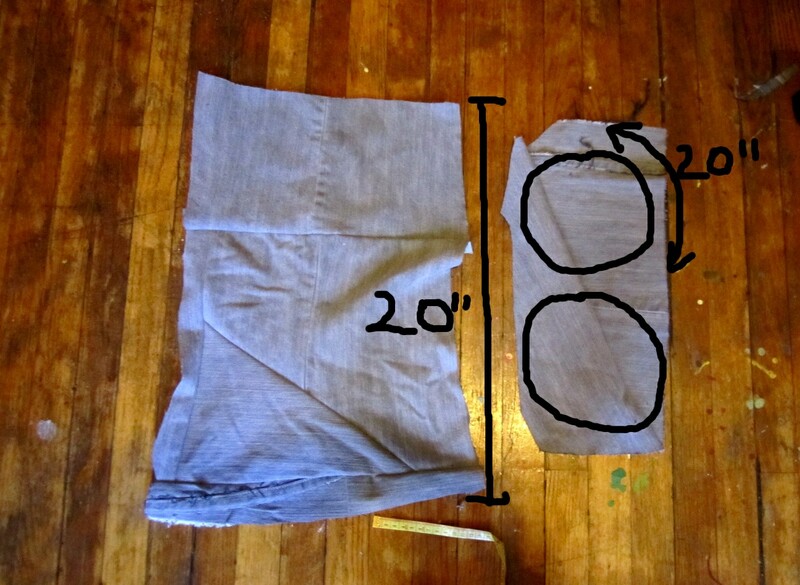 Cut two circles into the smaller rectangle, making sure that the circumference of each circle matches the length of the larger piece of fabric. Actually, it’s 23″, I was just trying to look cool by saying 20″. 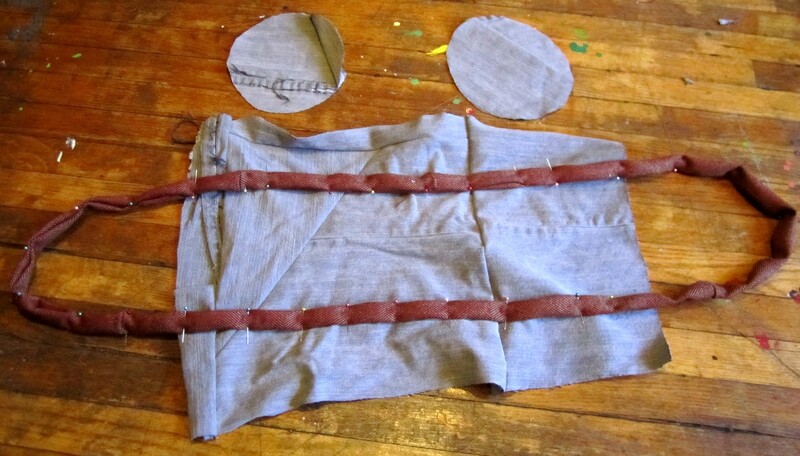 Next, you’re going to make the straps (it’s only one long strap), and pin it to the large fabric rectangle. 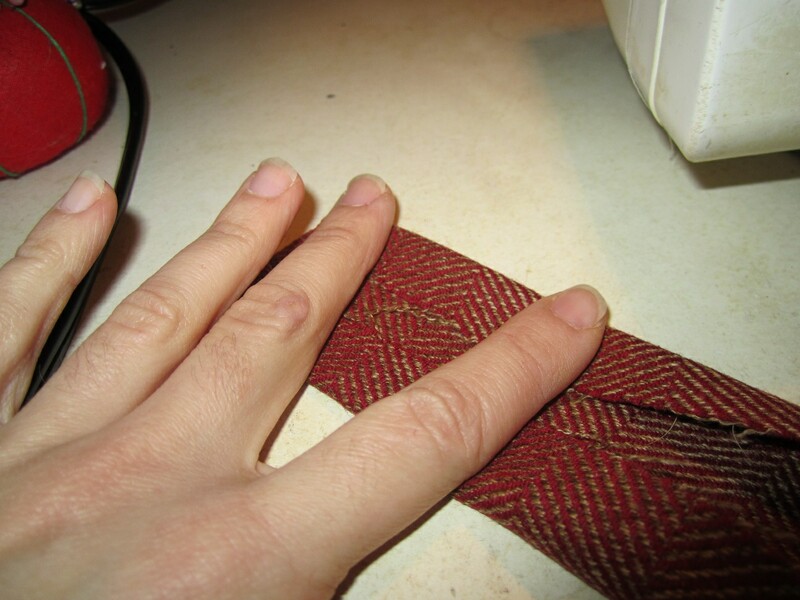 If you have about 64″ of grosgrain ribbon, that’s great for straps, but if you don’t, you can use any other sturdy fabric scraps, sewn together and folded into a strap shape. 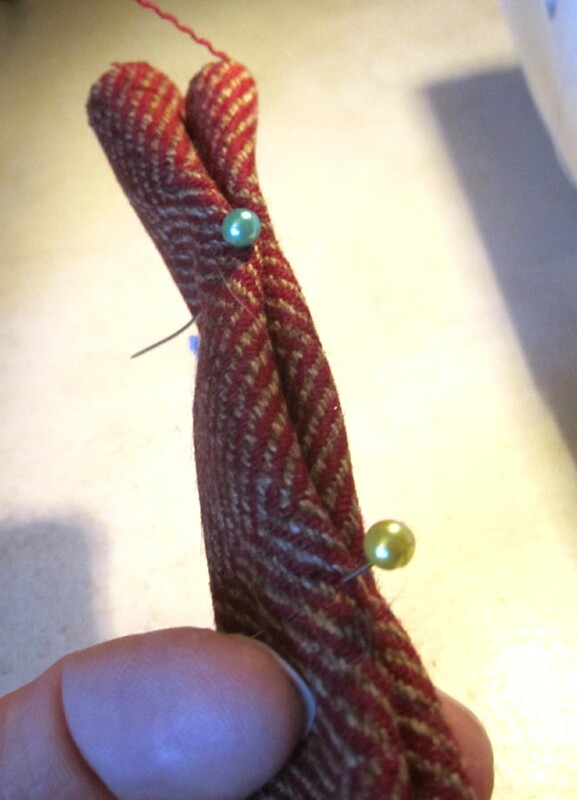 Fold in half and pin in place. Then you pin the straps onto the rectangle (like in that picture I showed you), leaving about 3″ unpinned at each end of the rectangle. Some people might tell you to use a bias tape maker (link goes to a youtube tutorial) for that last step. A bias tape maker basically folds the fabric into shape and you follow along with a hot iron to keep it in place. Have you ever tried to use one of those things? It’s actually harder than using your hands (you kinda need three hands to use it properly), and way less accurate. Whoever invented the bias tape maker is a jerk. Now you’re going to sew the straps onto the rectangle, leaving (again) about 3″ unsewn at either end of the bag. This is to leave room for the zipper insertion. 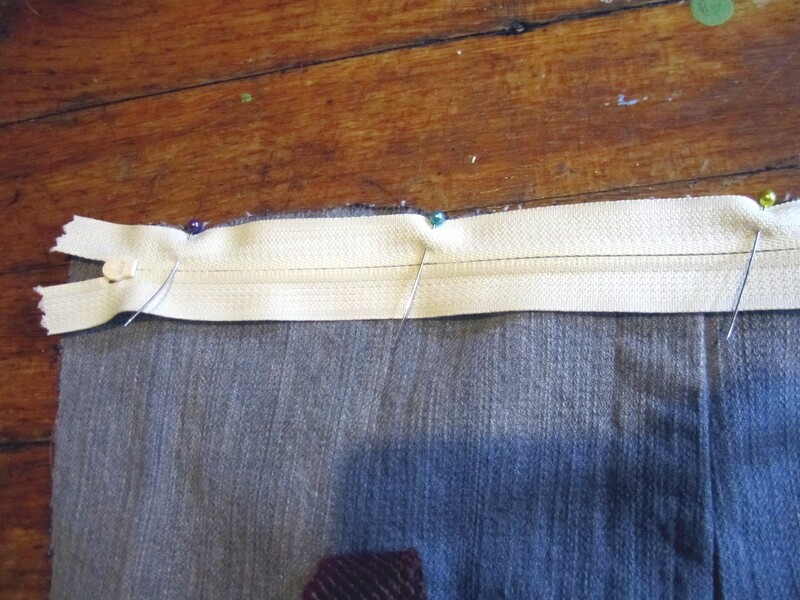 Pin your zipper to the end of the rectangle, right sides (of the zipper and bag) together. 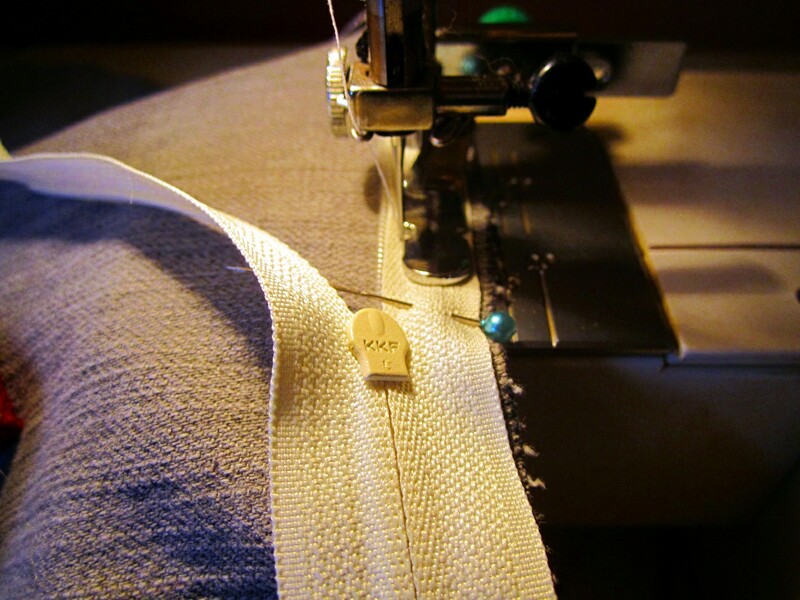 Using your sewing machine’s zipper foot, sew the zipper to the bag. Turn the bag right side out, and, using your regular sewing machine foot, sew along the outside of the zipper to secure it in place. 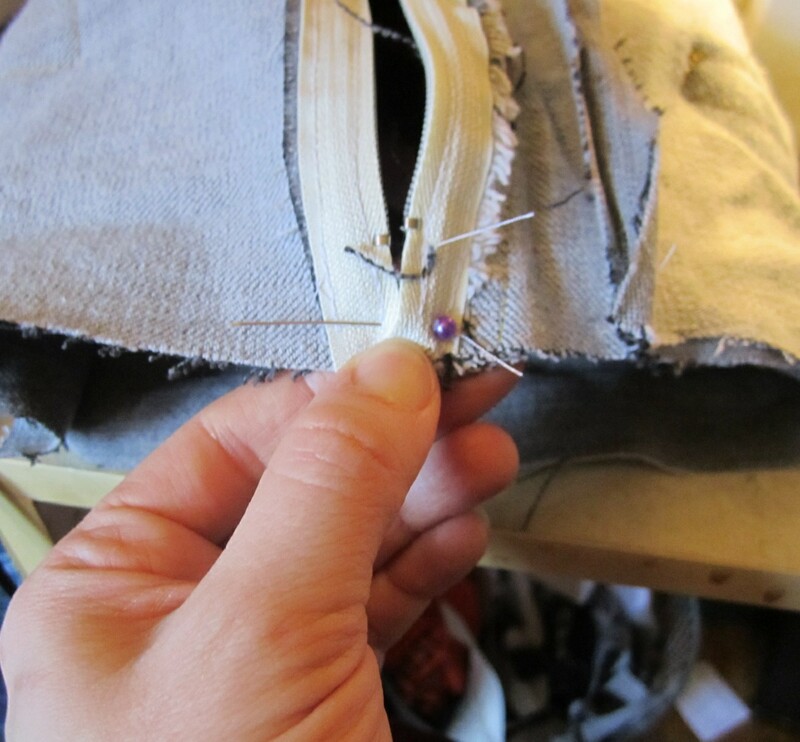 Turn your bag inside out again, and pin the circles to the side openings. 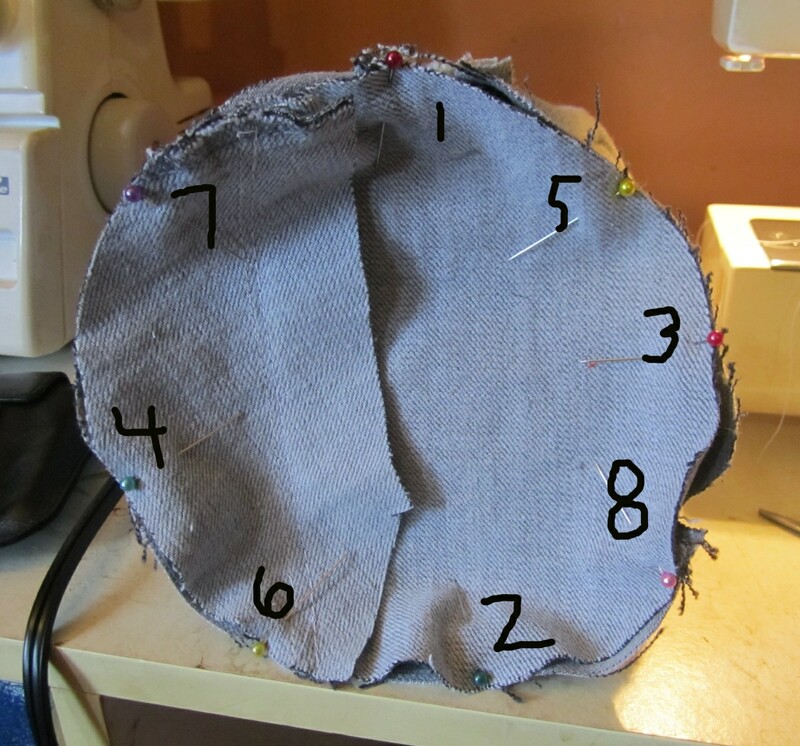 Place the pins in the order that I numbered them in the following picture; it helps stability, and if your circle or opening don’t match in size, you can distribute the excess fabric more evenly this way. Check out my crazy clock! Seriously, if there is excess fabric on either the circle or the bag, no one will care. You probably aren’t selling this bag, so whoever is receiving it can just shut the hell up if they notice a little bit of ruching on the sides. Pin and sew the other side. And whenever you work on the side with the zipper opening (it doesn’t matter if it’s first or second), remember these two things: 1) keep the zipper opening pinned together so you don’t have a gap when you sew it together, and 2) unzip the zipper about halfway so that you can turn the bag right side out when you’re finished. 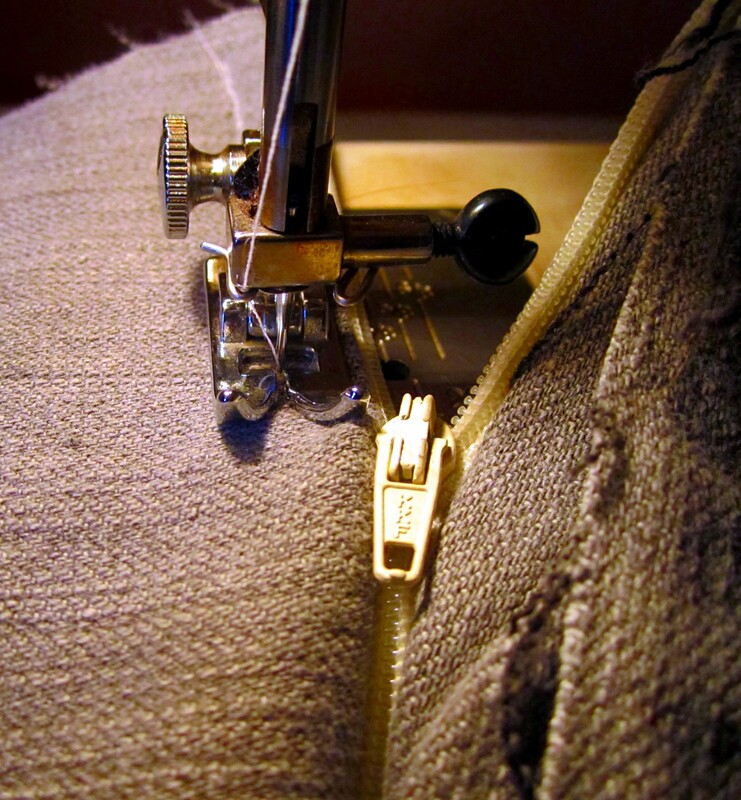 Sew everything up, and turn right side out. Add Fringe to a Clutch!